When it comes to handguns, the 9mm is arguably the most popular and best-suited caliber made. The 9mm compact is particularly popular due to its Goldilocks size that makes it perfect for both open carry AND concealed carry. Looking for something a little smaller? Check out our Best Sub-Compact Single Stack 9mms. We’ll cover some of our favorite options across all budgets. When shopping for a compact 9mm, the primary thing to look for is how it feels in your hand. This may seem a little silly, but some guns simply don’t feel right when you hold them. Your compact 9mm should feel good in your hand. When making the jump to a compact 9mm versus the subcompact version, you open up the door for some new options. One that is inherent with any gun with a longer barrel is greater accuracy at a greater distance. You aren’t going to be a marksman with a snub-nosed revolver at 100 yards, but at 10 feet shooting from the hip, it does the job. When you get into a compact gun with around a 4-inch barrel, your overall gun length increases. Aside from being more accurate at a greater distance, you start to get into the different types of optics available. Some, as you will see later in the list, have reflex optic options. While this adds bulk and can narrow your holster choices, it makes sighting in your target much, much easier. Now let’s talk about the guns themselves. You can’t really have an article like this without mentioning the Glock 19. It’s pretty much the standard when it comes to compact CCW and even open carry guns. There’s not much to say about the Glock 19 that hasn’t already been said. It’s probably the most popular gun in Glock’s offerings and is one of the most popular firearms for government and law enforcement agencies. It features a rail so you can add a flashlight or other accessory on the front, and, of course, it also has Glock’s famous reliability. The Gen 5 Glock 19 also has some upgrades to the slide, grip, and barrel. 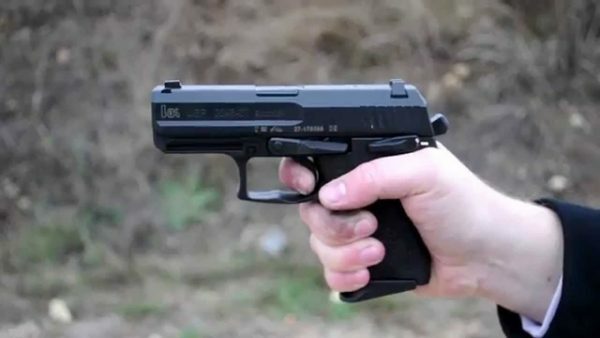 The Heckler & Koch VP9 is another wildly reliable compact 9mm and it comes from a series of guns that a lot of law enforcement and military agencies are beginning to favor. The VP series of HK handguns rivals the Glock in terms of durability and reliability, but the guns feel different when they shoot. As far as which one’s better, it just comes down to personal preference. So be sure to hold and hopefully shoot all your options. Springfield has been around for quite a long time and has produced many great handguns. Personally, when I was shopping for my first gun, I was torn between a Glock and a Springfield. The reason I went with a Glock was the wait time. The Springfield Armory XD(M) 9 mm is a solid performing compact CCW choice. It’s priced about the same as a Glock, but less than an HK. It’s right in the middle, so it’s a good bang for your buck, and a great first gun to purchase. What I like about the P320 Compact is there’s a lot of variants…so you can get something that fits your needs really well. One that I particularly like is the option to get a reflex optic. A lot of times this is a feature where you have to purchase a specific slide or have your slide milled so the reflex optic will have a place to mount. The P320 is one of the first polymer pistols from Sig and is a striker fire. Both make this a reliable 9mm CCW choice. I also enjoy the texture of the grip. It has that rough texture on all four sides of the grip. Most shooters end up adding some sort of grip tape to in the areas where there is no texture, so by having Sig do it for you, it saves you time and money. The SRC9c from Ruger is a pretty nice little compact CCW. Like some of the other manufacturers, you can use the accessories and magazines from the full-size variant of the same gun. There are four versions of the compact SR9c. You have an all black or two-tone version, then there are a couple of choices beyond color. They all come with at least a 10+1 round magazine, but one of the all black and one of the two-tone versions come with a 17+1 round magazine. That’s like having a double stack magazine amount of ammo in a single stack gun. The 17+1 has a finger grip on it which helps it look like it’s actually supposed to be in the gun. The features of the Smith & Wesson M&P9 2.0 compact are on par with most of the other manufacturers. You have a short rail for your light or other accessories. A lot of the modern CCW options are going away from the thumb safety and using a trigger-based safety. The M&P9 is no different in this regard. The M&P9 has a great feel to it. Almost all of the Smith & Wesson handguns I’ve held and shot are comfortable to hold. They shoot smoothly, the grip is a good angle, and the texture is great. I don’t know if they do something special to make it feel great in my hand, but I dig it. 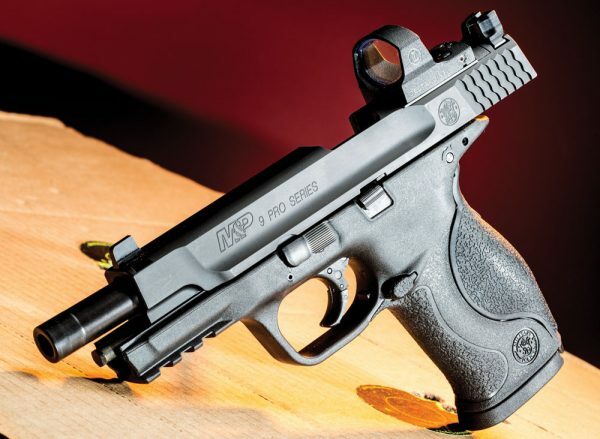 Overall, what you get with the M&P9 is a solid and reliable compact 9mm CCW. The FN 509 is one of those guns you don’t hear a lot about unless you know someone who is into them. FN, as a manufacturer, doesn’t show up as a real competitor on many of the topic-specific lists like these. That’s a shame, because they’re high-quality firearms, in the same ballpark price as a Glock or Springfield Armory XDM. The 509 is a variation on the MHS gun they submitted to the military for testing. It took components from previous model FNs, but eliminates the happier fire and goes with a striker fire. While it’s a very functional gun, it leaves a little bit to be desired in the looks department. It has a mishmash of textures that help you grip the gun well, but aren’t as pleasing to the eye as some others. The size of a compact 9mm CCW is a great starting point for most people. It’s large enough for your hand still fits on the grip without having the dangling pinky, it offers an accessory rail so you can add a flashlight if you want to be tacticool or actually use it, and it holds a few more rounds than a subcompact semiautomatic pistol. 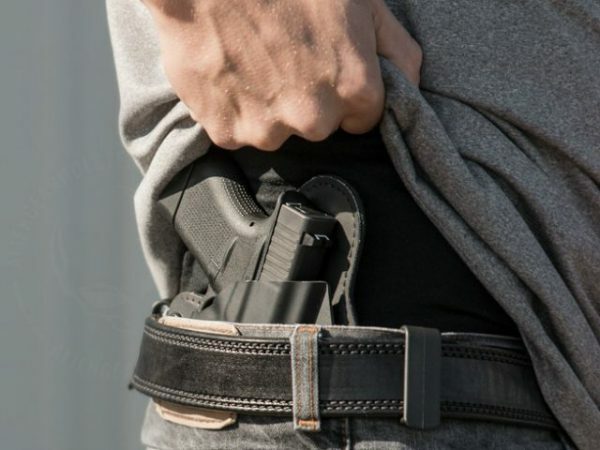 For most people carrying a concealed handgun, the compact is about as big as you can easily conceal without having an untucked and oversized shirt. 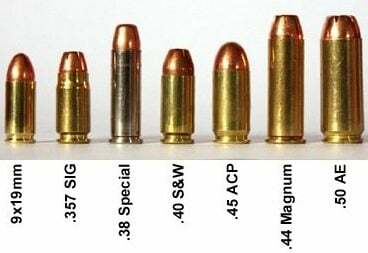 Many of the compact 9mm CCW choices on this page are not that much larger than their subcompact counterparts, but you get so much more in terms of the number of rounds you can carry, add-ons available, and choices of quality guns. Do you have any favorite compact 9mm pistols that didn’t make our list? Let us know in the comments. Ruger and Springfield – really? Forgot all about the Walther PPQ and CZ’s. My next purchase top contender didn’t make the list; the CZ 75D PCR Compact, nor the similar CZ P01 with an accessory rail. You might want to check them out..
Not a huge Glock fan but the 43x does have my eye for a new CCW for myself! Any idea on price and release date? My Walther PPS M2. Great firearm for the price, right out of the box. 500 rounds in, and still reliable, accurate, and concealable. I have several of the guns on this list and some that aren’t. The one that doesn’t get any love is the Beretta px4 storm subcompact. I just seem to keep coming back to it, it’s become my favorite.